Cable Gland IP68 Polyamide (Nylon) with Bend Flex Strain Relief protects cables from excessive bend, kink and twist to reduce the risk of cable breakage to avoid electric leakage. 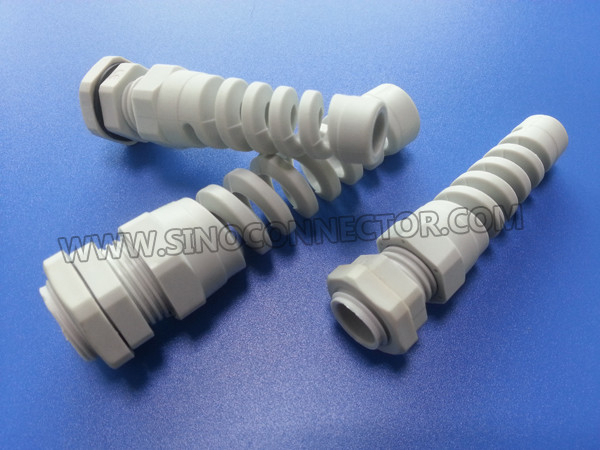 Cable Gland IP68 Polyamide (Nylon) with Bend Flex Strain Relief provides excellent cable protection against excessive twist at the bending point to reduce the risk of break to avoid electric leakage. 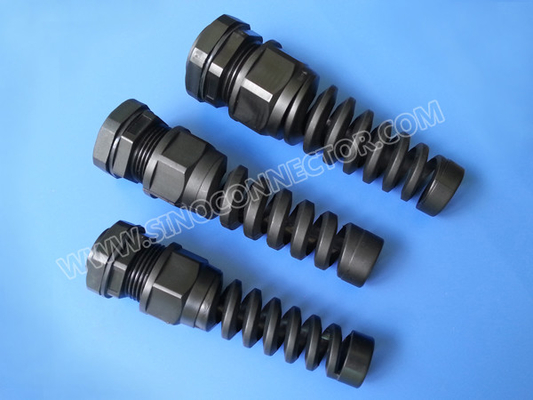 With the characteristics of strong tensile strength, high sealing & anti-bending performance, good security and stability, they widely applied for connecting and fastening cables or wires to provide effective protection against dust, water, oil, weak acid, alkaline, alcohol, solvents in the fields of electrical and electronic technologies, moving machineries, telecommunications, network communication, automatic control, power supplies, switches, motors, distribution boxes, solar PV modules, Inverters, lightings, displays, traffics, signals, surveillance cameras, plant engineerings, installations, meters and instruments, etc. 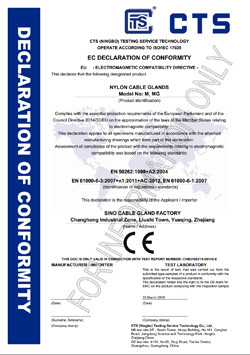 We are one of the most professional manufacturer of Cable Glands & Cabling Accessories in China. Currently we manufacture and export Nylon Cable Glands & Metal Cable Glands with PG, Metric, NPT, G, BSC & BSP Threads. With high quality, reasonable prices and good services, our products have been exported to more than 100 countries and regions. Welcome customers from home and abroad to work with us!! Sizes available: * PG7, PG9, PG11, PG13. 5, PG16, PG21. * M12, M16, M18, M20, M22, M25, M27. 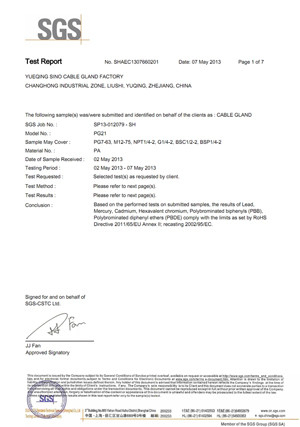 Raw material: UL-approved new Polyamide 66, flammability 94V-2 for Spiral Spring, Locknut & Gland body (contact us for 94V-0 material).